All three of these projects will make your laundry room stylish — but which is your favorite? Make this expensive-looking, wall-mounted drying rack to add a custom look in your laundry room. You’ll never again leave mops lying around your laundry room floor with this pegboard organizer. Made from wood and laundry baskets, this pretty solution makes sorting and putting away clean clothes faster and easier. Happy 4th of July…Learn about Flag Etiquette! Whenever you fly more than one flag on the same flagpole, the U.S. flag should fly above the rest. Ordinarily, the flag is flown from sunrise to sunset. If you fly it at night, it should be illuminated. When you lower the flag, don’t let it touch the ground or any other object. The Great Debate: Remodel or Sell? If you’ve been watching a lot of HGTV, you may be wondering if it’s time to remodel…or time to sell. Ask yourself this question: If you could improve your home and make it the way you want, would you want to stay a few more years or are you just ready for a complete change? Homes show wear and tear after a few years, just like anything that gets a lot of use. 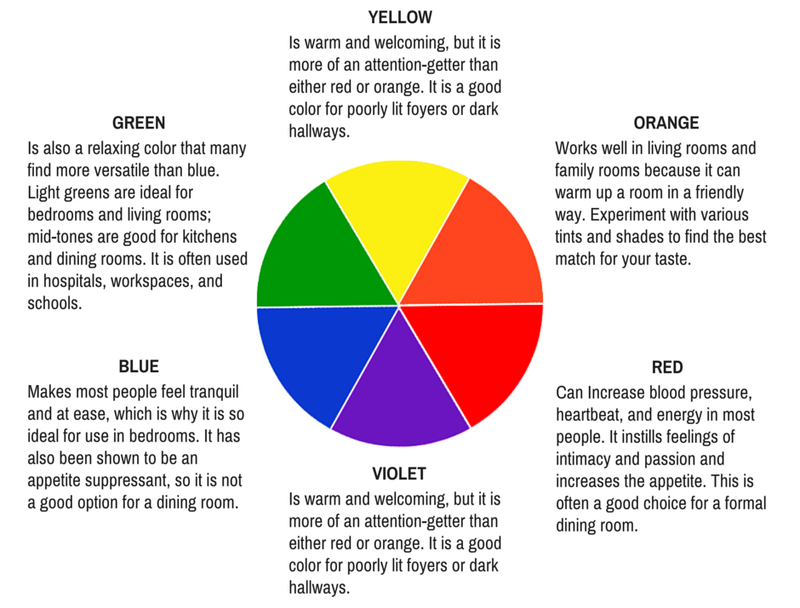 Color schemes and decorative styles that used to be trendy can begin to look outdated. And, you may not have been able to afford doing some home improvements until now. The good news is that interest rates are still extremely low and the economy is improving. So, you will likely get most of your investment back for any home improvements when it comes time to sell. Home improvements can involve making small changes or quite substantial ones, such as adding a bedroom and bath to your existing home, replacing your kitchen counter tops, cabinets, and appliances. Your home should include the standards set by your neighborhood, but you don’t want to end up with the most lavish house on the block. Before you make a decision on remodeling, make sure you are going to get what you want, at the price you want to pay, and that you’ll be happy with the results for at least several years to come. Get started by putting together the right team. You may not need an architect, but you may need the assistance of the right contractors, kitchen planners, and interior designers to help you pull it all together. You’ll also need to talk to your lender to learn how much you can borrow. And, as a REALTOR®, I can help you determine if the current market value will support the proposed improvements. As you’re putting together estimates, you may realize that additional work is required you weren’t expecting. It’s important to plan for problems that may come up, unexpected design modifications that are needed, or possible delays on materials. Planning for the unexpected will help you control your budget and resources. If you’re unsure that remodeling is the way to go, you may want to remain open about the possibility of finding another home. As a REALTOR®, I might know of homes for sale that have the size, features, and finishes you’re wanting. After you view a few homes, you should have a better idea of what you want and what you like. Before you make a decision on selling your home, I will create a comparative market analysis of similar homes to yours that have sold recently and are currently for sale so you’ll know what you can reasonably expect to net from the sale of your home. You’ll also learn how long homes are staying on the market and if other sellers are getting their asking prices. Together we can discuss a price range for your home, based on its location and current condition. If you’re happy with where your home ranks amongst the competition, then it should be a good time to list your home for sale. Keep in mind that whether you decide to remodel or sell your home, change is inevitable. You will be opening your home to workers or to agents and buyers, and you may experience some inconvenience during the process. What matters is that you achieve what it is that you and your family want and need, and that you realize it will all be worth it in the end. Plan a bathroom or kitchen redesign with the hottest trends in the tile industry. Here’s what you need to pay attention to in 2015. Details can elevate a space from ordinary to elegant or from commonplace to unforgettable. Mosaics are more than little glass chips in a medallion. Here are some new ideas. Picture a mosaic of specialty shaped tiles like ovals, triangles, hexagons, or marquise. Natural stone adds a hint of luxury. Try limestone or marble. Offset the unique shape with a complementary grout or match the grout to the tile for an understated effect. Multi-hued glass mosaics for the coming year have gotten away from the classic 1 x 1. Pencil tiles, and metallic finishes expand the definition of mosaic in designs this year. Gray will continue to be the hottest color in 2015. Clay, taupe, and other neutrals are making a comeback and soft blacks will start to rival gray’s popularity. 2015 is the time to add to your palette of neutrals. This year, classic neutrals will rub shoulders with pastel blues and greens as they join the palette. Peach, coral, and purple will also become basic backdrops for the other elements in a room design. While polished and high-gloss are still in demand, matte textures are making a comeback this year. Tile with a matte or semi-gloss finish lets you create a softer, more livable feel. Any textured tile—wood look, fabric-look, or brushed finishes—make for that softer feel that’s big for the coming year. Consider wall covering tiles. They let you put texture or patterns on the wall that rival the detail and softness of wall paper, without the mess. Find the perfect fit among our fabric-look tiles. Love of subway tile will continue to influence designs into 2015. The classic 3 x 6 is always available in the perfect shades and finishes for your project. But consider adding a twist to your subway tile design. Go with a larger tile, vertical layout, or graphic design for a transitional retro look. You don’t have to be a professional decorator to properly stage a home. Check out leading department stores and home catalogs for inspiration…look to see what colors and styles are being used, and then copy them. Bringing in trendy colors immediately modernizes any home, as will fresh linens in the bedroom and bathroom. If you are considering a remodel or moving, contact me for a free consultation on basic staging techniques. Staging doesn’t have to cost a lot, and I can help show you some simple ways to improve your home’s overall appearance.